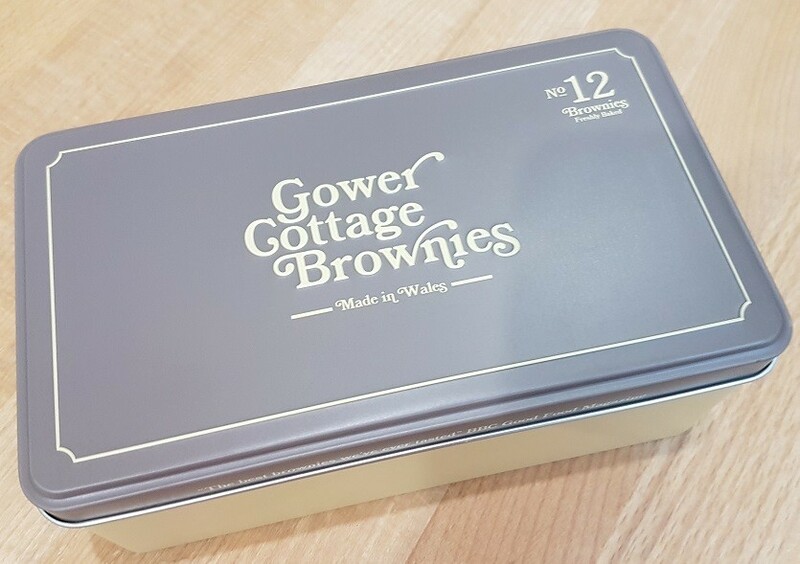 12 Original Gower Cottage Brownies, packaged in our beautiful new presentation tin. 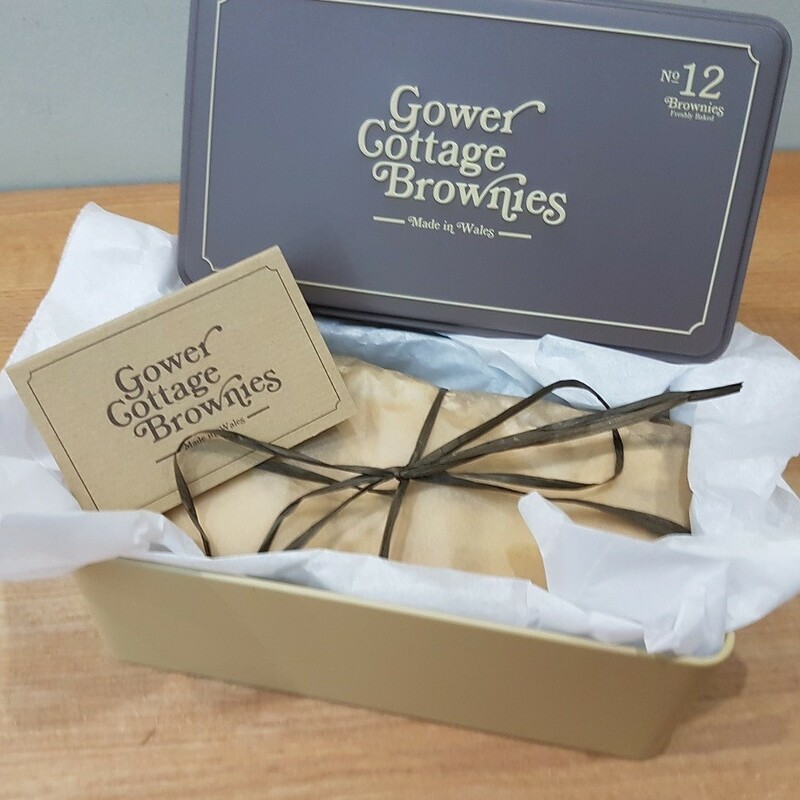 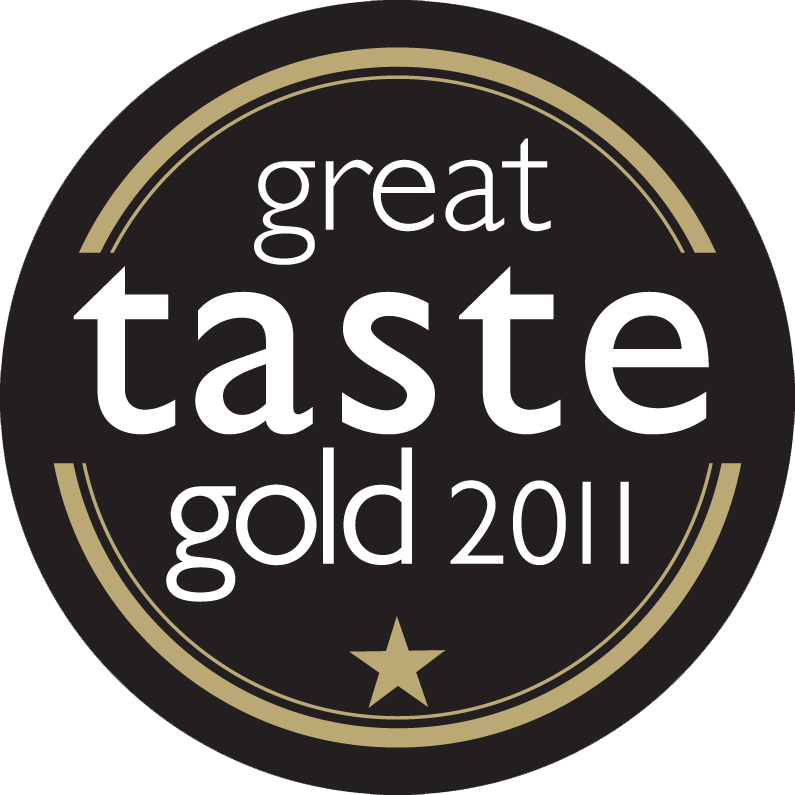 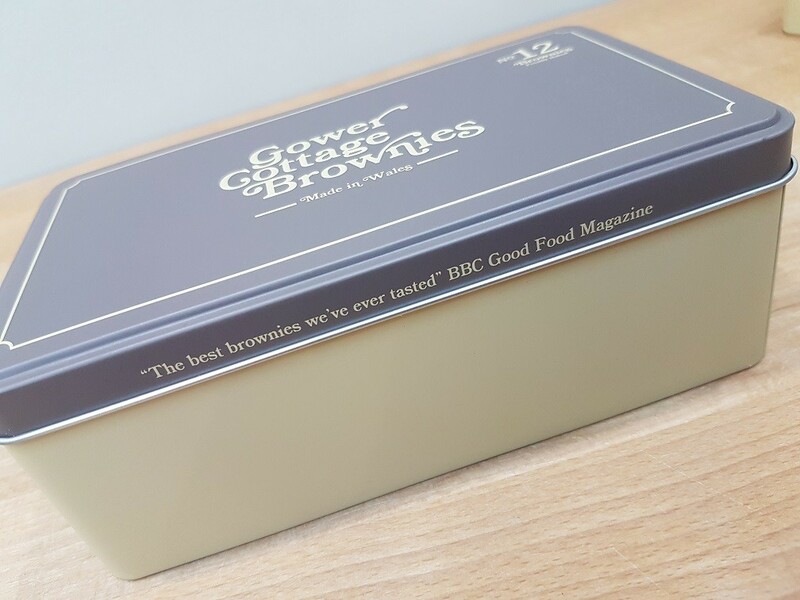 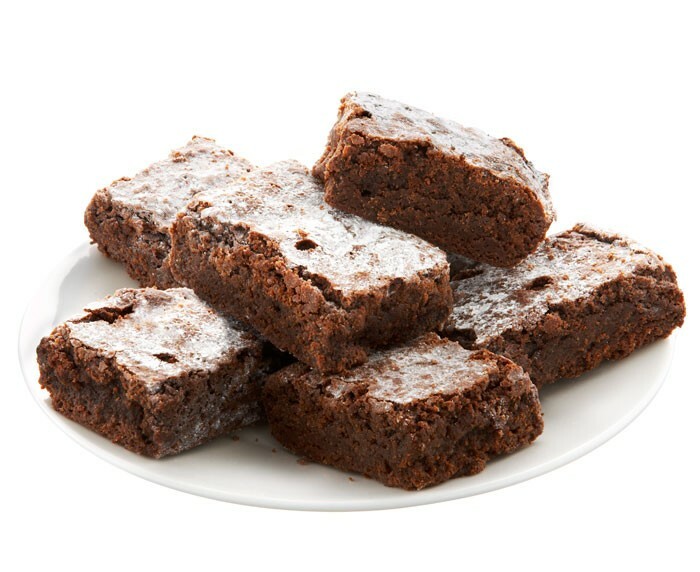 12 beautifully presented Original Gower Cottage Brownies, packaged in our beautiful presentation tins. 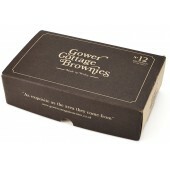 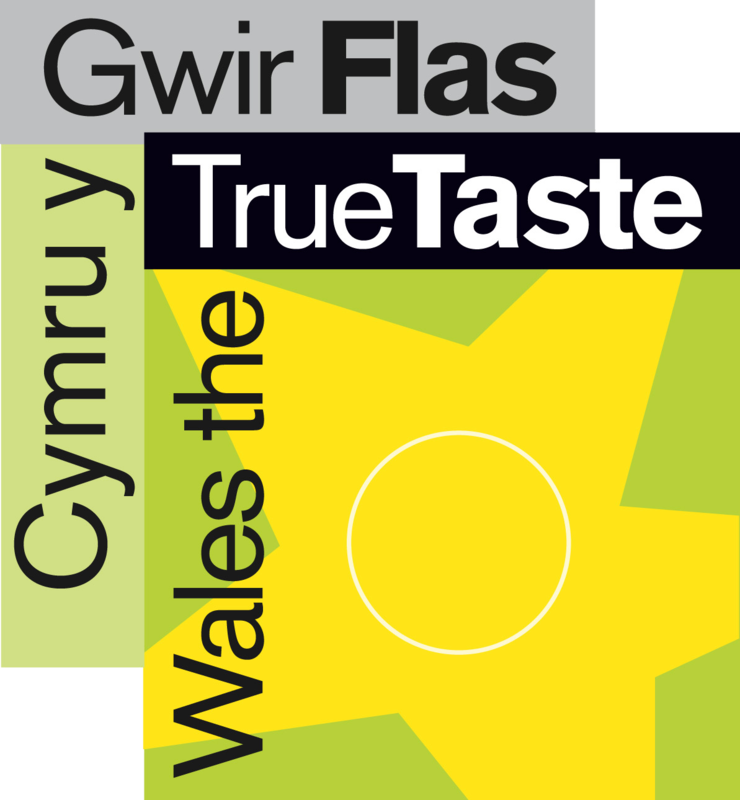 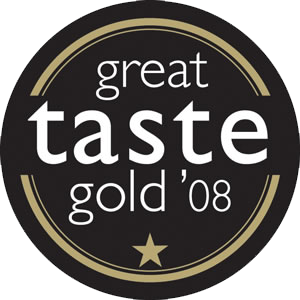 Home baked at Gower Cottage, using finest quality Belgian chocolate with no nuts. 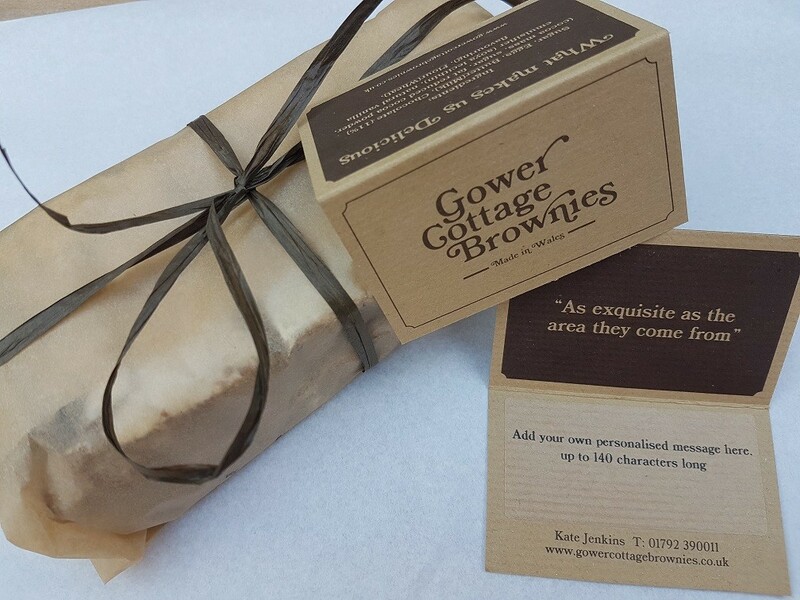 Baked Fresh to order, with a best by of 10 days, suitable for home freezing.